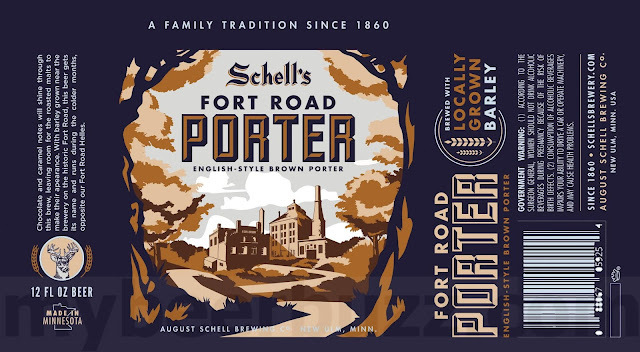 This morning we have a new can coming from August Schell Brewery in New Ulm, MN. This is Fort Road Porter and it will be an English-style brown porter that is brewed with locally-grown barley (the barley is grown on Fort Rd). This is the 12oz Crown can and stay tuned for AbV and release details.